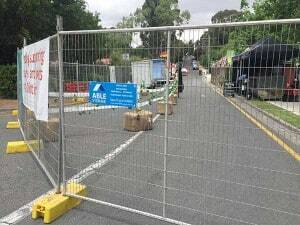 To enquire about hiring a truck , trailer or temporary fence simply fill in and submit the form below. We will contact you to confirm availability, price and pickup schedule. 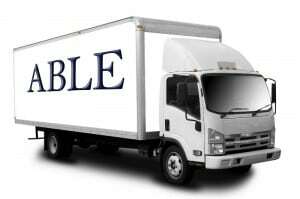 Adelaide Hills Truck Hire Specialist. 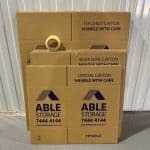 At Able Self Storage and Removals we have car licence trucks and utes that can come with a sack trolley and ties to secure your load. Furniture felts are available for hire, as are piano trolleys and lifting straps. Truck hire is coordinated from our head office in Mount Barker. 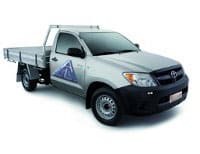 In the Adelaide hills truck hire is central for pickup and delivery at Mt Barker. We charge a flat rate for the truck and for all fuel used at 35c per km (every km driven). Also an excess for every km traveled beyond 100 km of 30c per km is charged First 100 km free. For example if you travel 150km we will charge the daily rental fee plus fuel for 150km @.35c = $52.50 plus excess 50km @.30c = $15. Total = Flat fee plus $67.50. 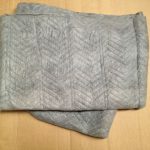 Felts are available for hire if you need them to protect your furniture and white goods. When booking please request them so we can have them in the truck ready. Our truck rental is per 24 hours. Pickup is from 8.30 in the morning so can collect any time after but the hire truck is due back at 8.30 the day of hire completion (and 8.00am on Sunday). If your truck is available the day before pick up can be arranged for an afternoon. 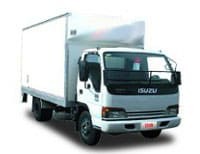 If a truck has been returned damaged or late from previous hirer and we cannot give you a safe truck to hire we reserve the right to not hire as is out of our control. Our trucks have either a walk board or an electric tailgate lifter. Please Note: It is the hirers responsibility to comply with vehicle weight carrying capacities and all traffic regulations. 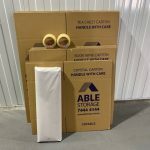 You may need cardboard cartons or bubble wrap to protect your possessions. 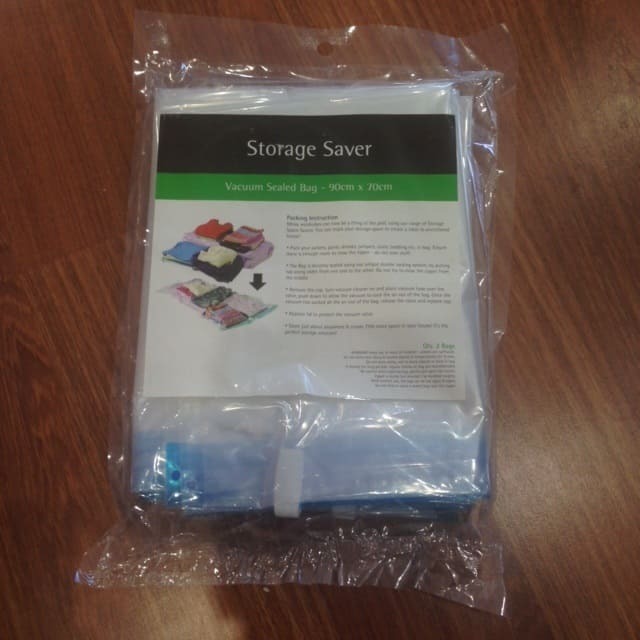 We sell packaging here. 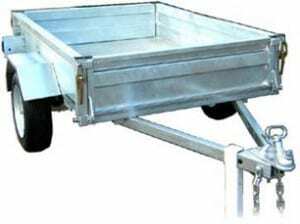 We have enclosed trailers, open trailers, cage trailers, box trailers, as well as stock trailers. 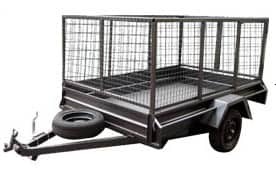 Our enclosed trailers come with a sack trolley and some webbing ties for securing your load to the sides of the trailer to protect your contents. If you’re moving from Mt Barker to Nairne, Strathalbyn, Littlehampton, Hahndorf, Echunga or anywhere in the Adelaide Hills talk to us. 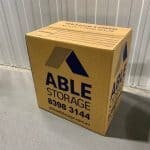 Moving stock from Victor Harbor to anywhere in the Fleurieu area? This is an economical way to transport goods. 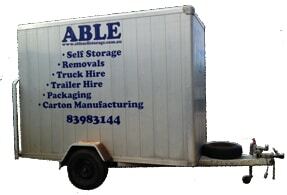 Trailer Hire is restricted to South Australia only. Legal towing weights must always be complied with. 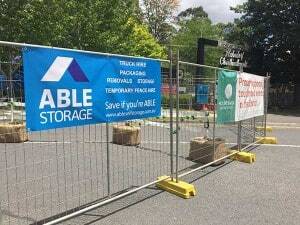 Temporary fence local in the Adelaide Hills and Fleurieu Peninsula areas. Affordable and convenient based at Mt Barker. Please contact or email your details through for us to quote.